Most of Canada is currently knee-deep in winter. If you haven’t been for a very cold run yet, chances are you’ll go on one in the coming weeks. 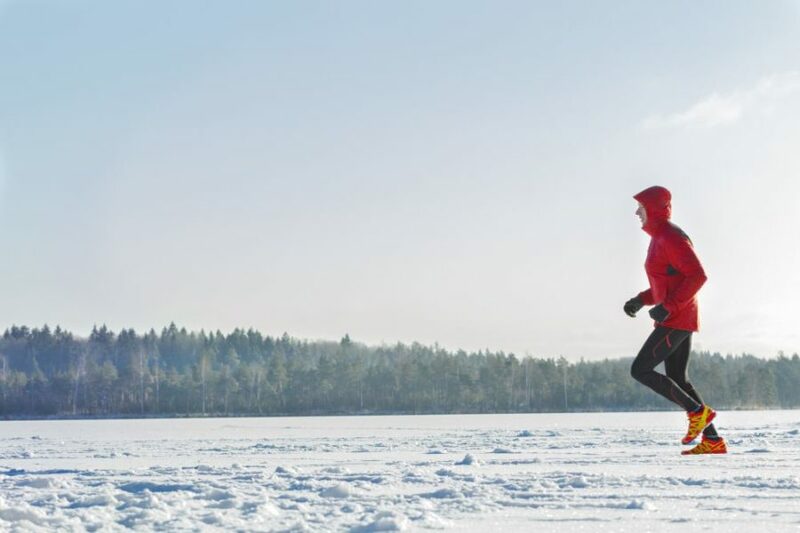 Like warm-weather running, cold weather has its own set of challenges when it comes to recovery. In the summer you’ve got to plan to rehydrate and cool down, but in the winter we’re all about staying warm. RELATED: When is it too cold to run outside? Developing a cold sweat is the worst. Hopefully you’ve warmed up enough on your run to get a sweat going, and when you stop, that sweat can make you very cold. Once you’re home, even if you don’t shower right away, change out of your running gear. Your body temperature will thank you. Ending your run at brunch is questionable during the winter time. Rolling is important all of the time, but especially after a winter run. The snow and icy roads mean that you’ve likely been slipping and sliding a bit. While you might not notice this during your run, you will tomorrow. 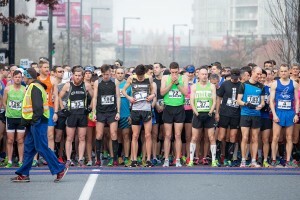 Your lower legs can be especially bothered by winter running. Keep your feet, calves and hamstrings happy with a quick post-run stretch session that will help you run even better the next day. This will help you stay warm and recover faster. Within 30 minutes of exercise, runners should aim to have between 100 and 300 calories in a mix of carbs and protein (about 3:1 or 4:1 carbs to protein). Consuming a carbohydrate-rich snack within 30 minutes after your workout will dramatically improve your recovery, decreasing muscle soreness so you can get on with your day and be ready for your next workout.